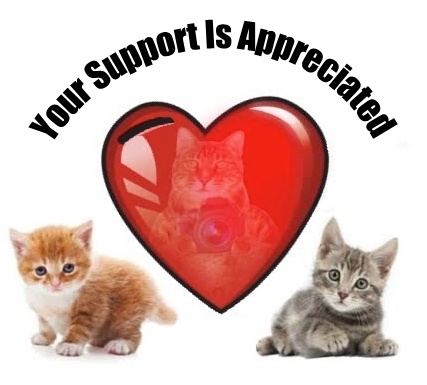 Pets are a lot of fun and are like a member of the family. There's alot of pride when you provide a special shelter for them. 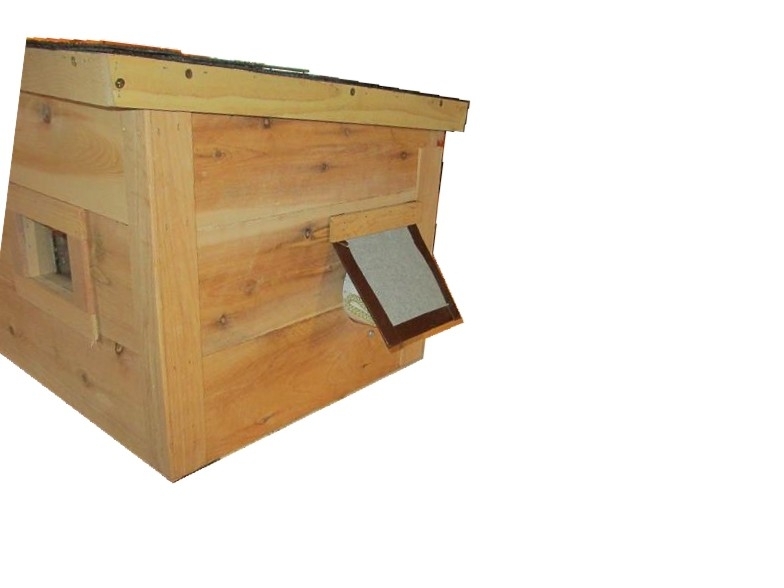 This pet house is made entirely of CEDAR. Cedar is a great insulator. The house comes 99% ASSEMBLED (see NOTE below) and is secured together with BOTH nails and screws .. making it very DURABLE. The interior is warm and the corners have been sealed to keep out drafts. The floor is elevated off the ground which will keep the occupants warm & dry. The entrance is @ 6" diameter which allows easy entrance and exit. 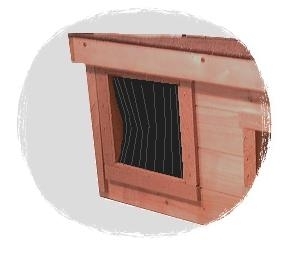 The opening is also set off to the side so that pets can enter from one end and then create their bedding area in the opposite end ..... which most do. 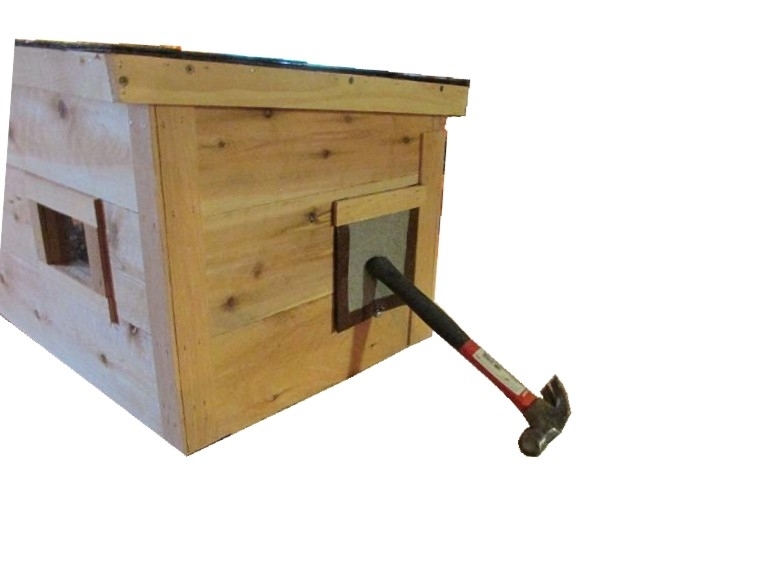 We include a FREE "windblock" for attachment. The purpose of the windblock is to channel air away from the bedding area. Some choose to use the windblock and others do not. Therefore, it is sent along with the house and is not attached. The entrance is slighthly elevated above the floor to help keep any bedding materials (cedar shavings, straw, etc) from getting pushed out. Finally, we have added a FIBERGLASS SHINGLED ROOF for added protection and warmth. The roof is angled backward, allowing for water run off. The entire roof pivots back, allowing for quick inspection and cleaning of the interior. NOTE: For shipping-safety reasons, the 2 lag bolts that hold the roof on for pivoting are removed for shipping. Upon arrival, customer will need to reinsert and tighten the bolts down so that the pivot action will work. Otherwise, the roof will be a lift off type. This is to avoid damage, during shipping, at that area. 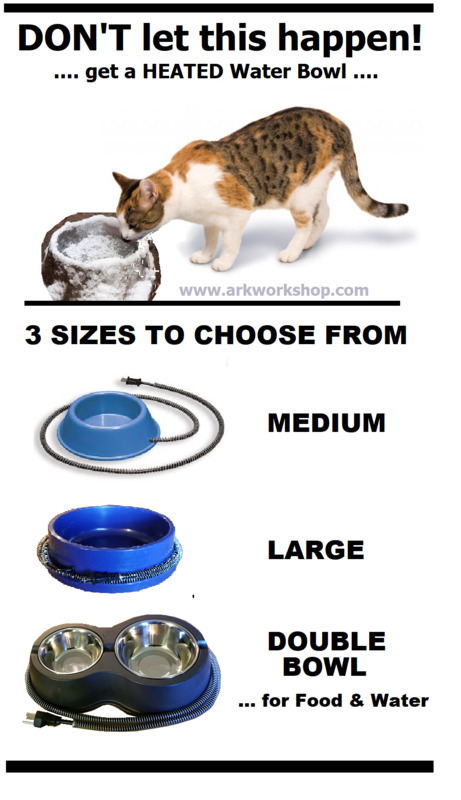 CHOOSING A SIZE: When choosing a size, remember that a house should be large enough for the pet to enter, make one full turn, and then lay down. Pet houses do not need to have alot of extra room. Too roomy of a house can be drafty. The purpose of a house is for the pet to retreat from the weather and have a place to stay warm. OPTIONAL FEATURES: At the bottom of this page will be a way to choose options for your house. When selecting an option below, simply check-mark the option and then type "yes" or "y" or "1" in the drop down box. The option & amount will be added. You can add/remove options as you wish. CEDAR SLATTED ROOF: For $49, we'll be happy to send the house with a cedar slatted roof versus our traditional fiberglass shingled roof. In the past, some customers have had us create this roof type because they felt it offered a more decorative look to their cat house. This option can be important if living in a neighborhood that has specific residential guidelines. The cedar slats are secured to the roof, one-by-one, while using a special exterior poly glue that bonds everything together. The ends and seams have been caulked/sealed for weather protection. 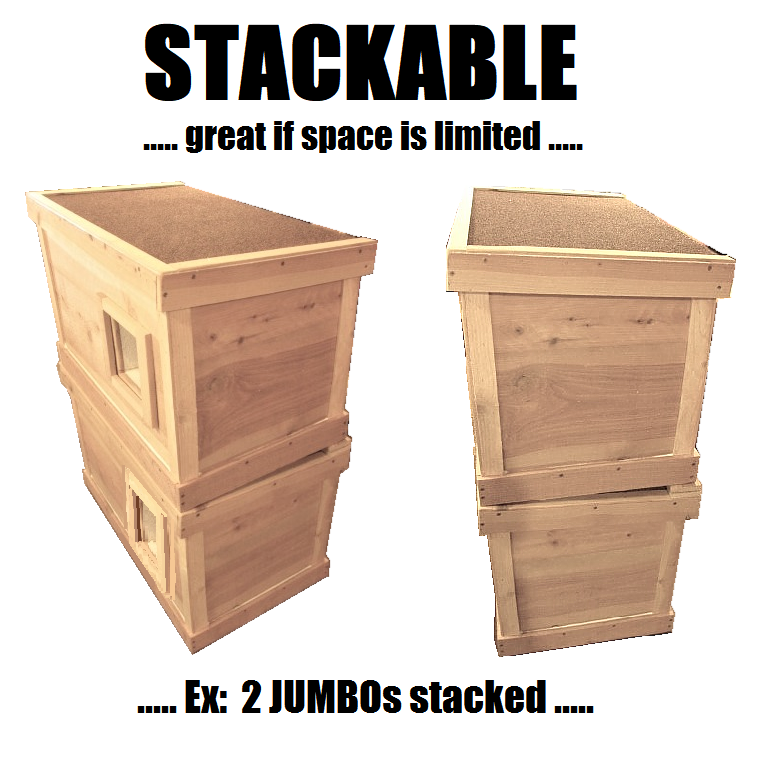 It is all ready for outdoor use when it arrives (right click for larger image). INSULATION:For $30, we will be happy to insulate the interior of this house. The insulation would consist of additional white styrofoam & interior wood panels on all sides and the floor. 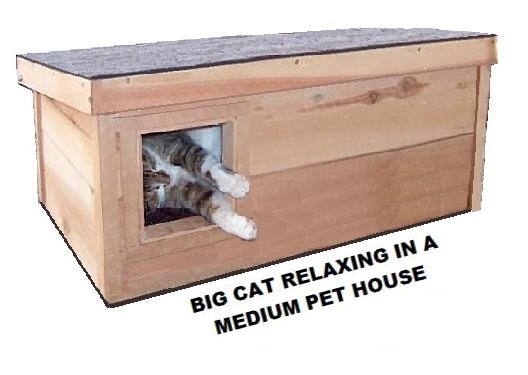 Please note that by adding insulation, the interior decreases and the house may hold less occupants ...... see measurements. 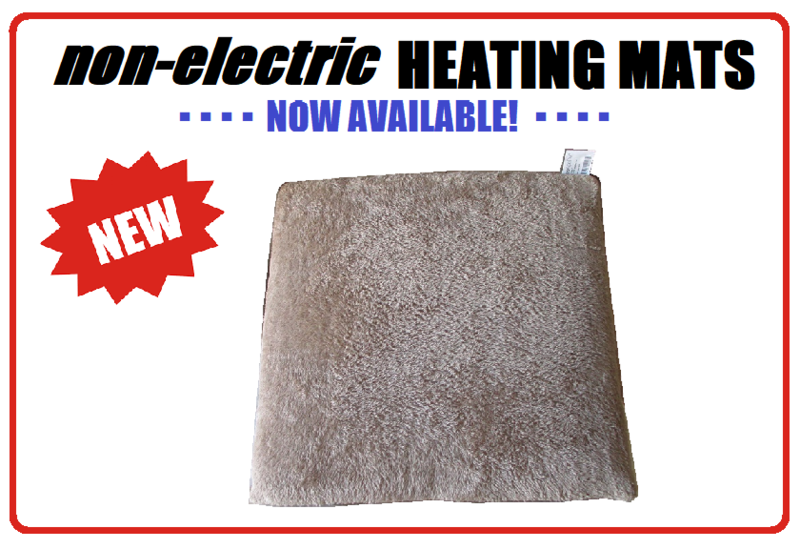 MEDIUM: non-electric Heating Mat: For $29 per item, we'll be happy to include this amazing non-electric heating pad. The way it works is that it stores in your pet's own body heat and then reflects it back to them .... keeping them warm. Some materials (like blankets and carpet) will simply take in heat and then that warmth eventually dissipates. 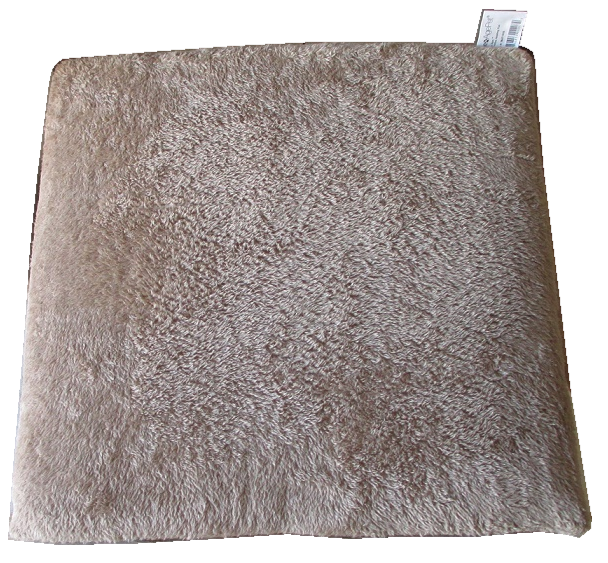 With this heating mat, the mylar insulate padding inside stores that heat .... keeping your pet warm and cozy. We tested the heating pad ourselves by placing one on an office chair. In a matter of minutes, we noticed the warmth underneath. The mats are also designed to repel moisture and not allow the absorption of water. 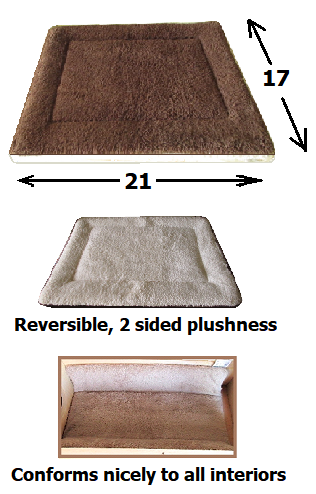 Another plus is that these mats are safe to use with bedding materials such as STRAW, pine shavings, and cedar shavings. The non-electric mat is made of a soft fleece cover, plush inner reflective padding, double-sided and reversible for optimum use, and machine washable. Mat size measures approx 21"L x 17"W x 1.25"thick. The mat is pliable and conforms nicely to all shelters. 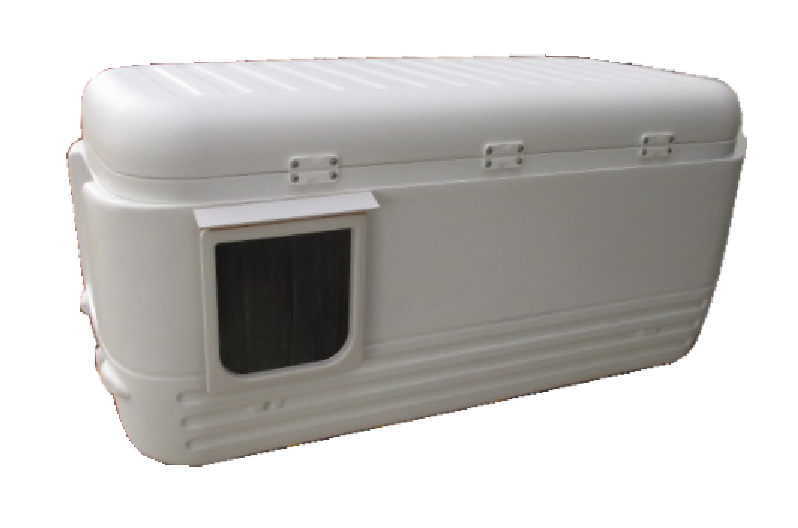 1 is best fit for MEDIUM size shelters. However, 2 mats conform nicely in all LARGER shelters. Click here for extra mats. 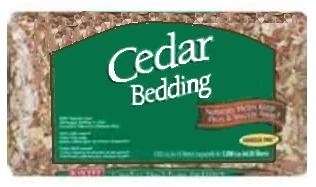 Aromatic CEDAR SHAVINGS BEDDING: $15 for approx @10lbs of cedar shavings. Shavings will cover approximately 2 cubic feet.......a sufficient amount for this size house with some extra. 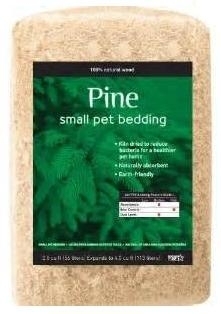 This bedding is great for extra odor control, it naturally helps keep fleas and insects away, and cedar oil helps promote shiny coats. 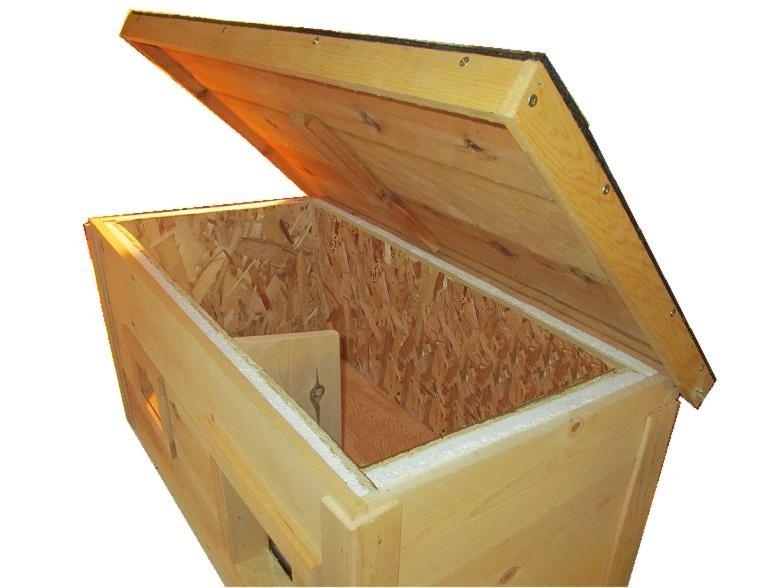 Shavings provide a bed that will help keep pets warm. PINE SHAVINGS BEDDING: $12 for approx @10lbs of pine shavings. Shavings will cover approximately 2 cubic feet.......a sufficient amount for this size house with some extra. 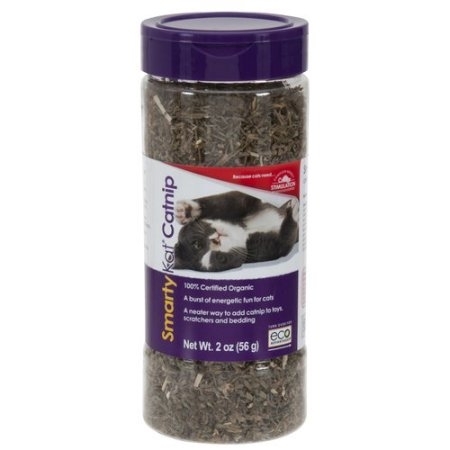 This bedding is great for extra odor control. Some feel pine shavings offer a softer, fluffier shaving. Pine wood shavings have a fragrant, natural aroma, which helps mask unpleasant odors. 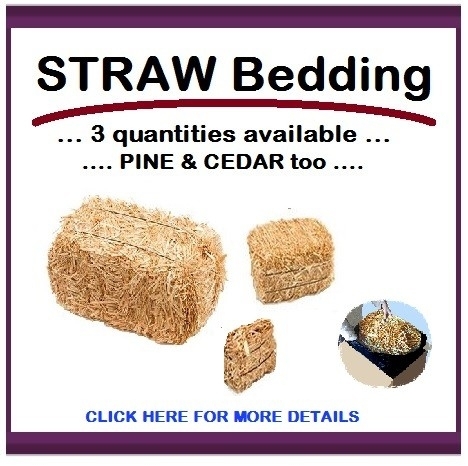 STRAW BEDDING: $6 for approx 1 leaf of straw (1-2 refillings). Straw will cover approximately 3 cubic feet ....... a sufficient amount for this size house. This bedding is great for all small animals. It is low cost and covers a wide area. It is clean and dust fee. 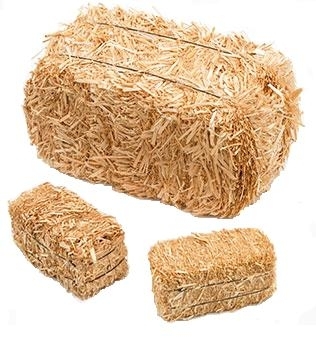 Also, straw is a very warm bedding because it traps air. DOOR FLAP: for $9 we will install a thick door flap made of rubberized matting on the exterior side and soft carpet texture on inside. We secure it in the doorway so that it acts as a doorway flap to block wind, rain, etc. The flap works great and creates a nice barrier between house and outside. The door flap is also removable or can be cut away, if needed. POLY-DOOR ENTRANCE: for $29 we will install a poly-plastic door entrance. It acts as a doorway flap to block wind, rain, etc. There is a magnetic catch under flap to make it stabilize firmly downward and not swing back and forth in the wind. Opaque plastic also allows pet to see outside. When POLY DOOR ordered, entrance becomes poly-door shape, neither round or square. ENTRY OVERHANG: for $19 we will include an entry overhang that will help protect the entrance area from rain, snow drifts, and wind gusts. For shipping safety reasons, it comes unattached but detailed info is included on attaching....very easy to do, screws provided....takes approx 5 minutes. The overhang matches the wood tones/shingles of the house. 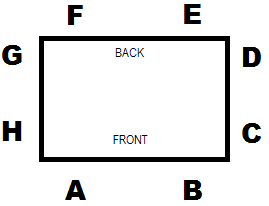 HOUSE NAME PLATE: $10 for an @ 3" x 12" name plate that can be secured to the house. The name plate can be the pet's name, etc or some cute saying that will give visitors a chuckle. 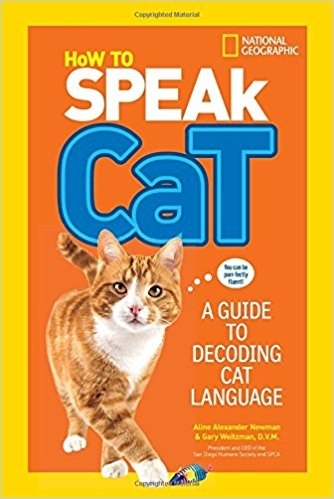 The longer the name (or letters) the smaller the font size. 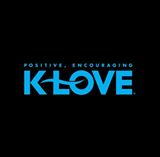 The letters are professionally typeset fonts which are latex laminated to a wooden board. The latex laminate allows it to withstand weather. Plate is shipped unattached so that customer can determine where it should be placed. Screws provided. CEDAR SEAL: for $40 we will seal the entire outside and underside of the house (the interior is not sealed and is kept natural). 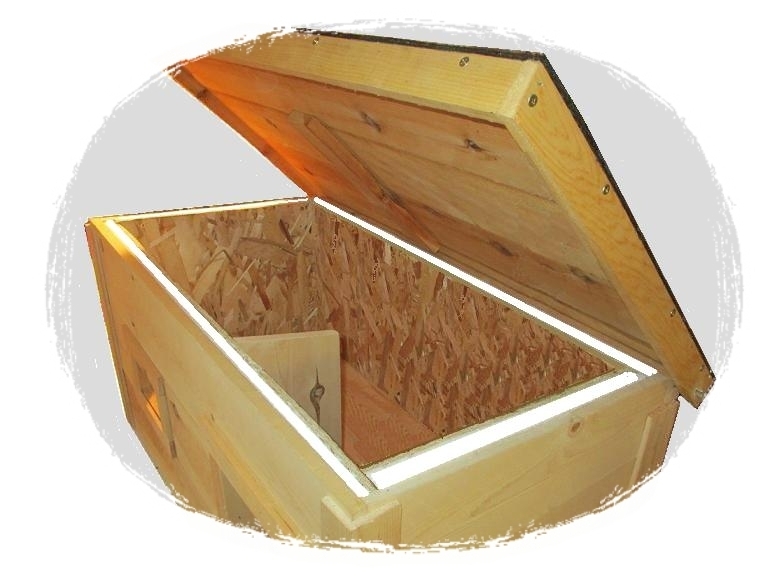 Cedar is one of the best woods to use for outdoor items. It is a wood that can expand and contract with warm and cold weather. It is a great insulator. After a period of time, cedar will begin to lighten to a silvery gray. 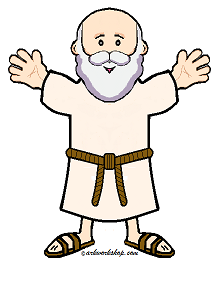 However, if you want to keep cedar looking its TAN color longer, then a sealant is recommended. We use a product called CLEAR WOOD FINISH. It is low odor, water soluble, and penetrates deep into the pours of the cedar.......providing a clear coat of protection and preserving the tan color. If you do order the cedar seal option, any small accessories ordered will also be sealed. 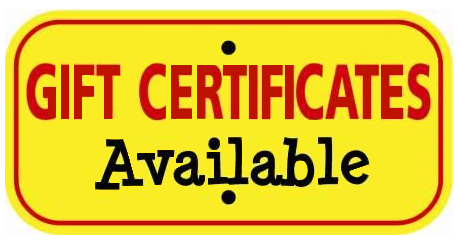 However, this does not include PLATFORMS ..... those have a separate charge ..... click here to order PLATFORMS with sealer option. 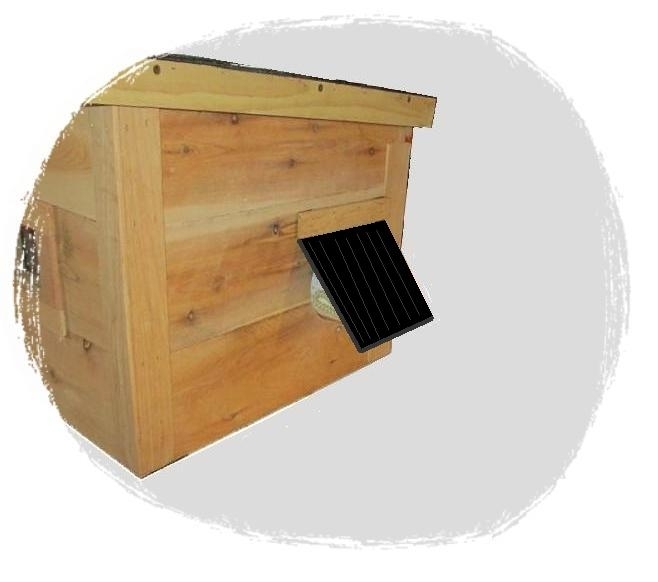 ESCAPE DOOR w/ flap: for $15 we will install a small 5x5 escape door (w/ door flap) located on the side opposite the entrance and toward the back. 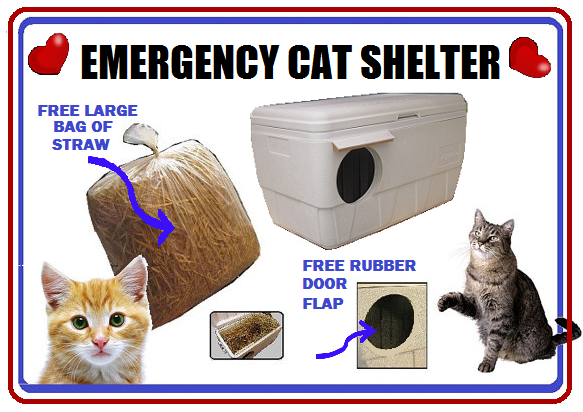 Sometimes customers want an emergency escape route for their cats.......especially for houses being used outdoors. If the main entrance is blocked by a predator, the escape door is a quick exit to safety. 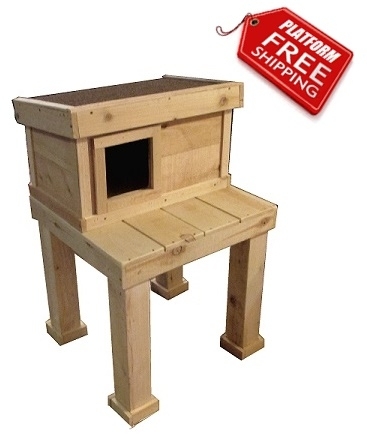 This is popular for those getting a house for a Feral Cat. The escape door is used from the inside but no animal can use it from the outside. WINDOW: for $15 we will install a small 4"x5" window which will be located on the front of the house...opposite side of the entrance. Sometimes customers want their pet to be able to see outside while in the house. The window is made of strong plexiglass and is secured into the window area. Wood trim surrounds the window for a decorative, finished look. 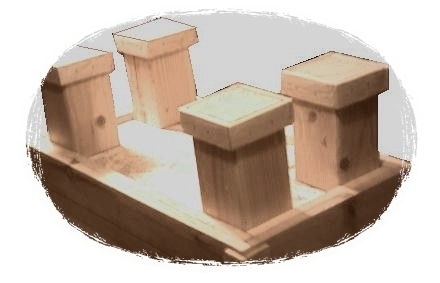 RISER FEET: $15 for a 4, six inch tall feet that will elevate your house off the ground 6". The blocks are 4x4 chunks with decorative trim on the bottom edge. The feet come unattached and need to be attached from the inside ......very easy to do, screws provided, holes pre-drilled. 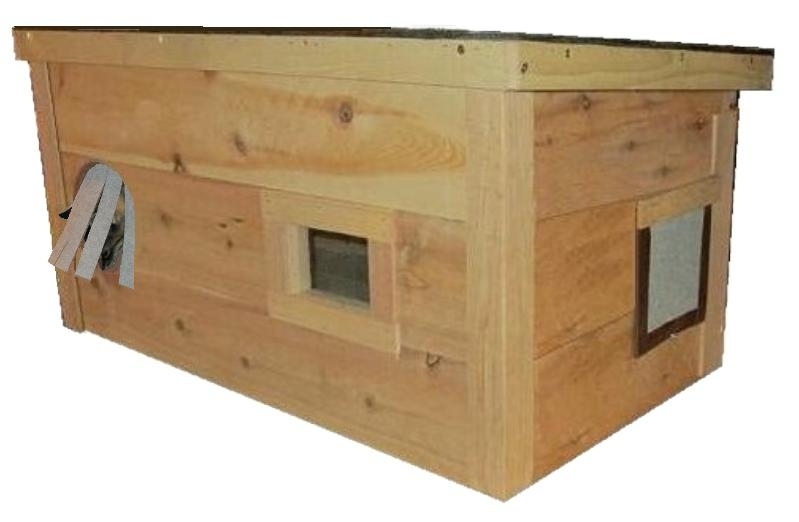 MEDIUM SHORT Platform Deck ...... for Emergency Shelters, Medium Houses, and Medium Feeding Shelters (free shipping): $99.95 for a 1 ft tall cedar platform deck that measures approx 23”long x 23”wide. The legs are made from 4x4 pine posts and are very sturdy. 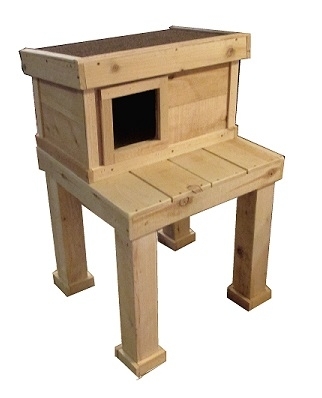 This platform elevates the house 1 foot off the ground and provides a level of safety for your cats. It also prevents rain from splattering off the ground and onto the shelter in addition to keeping it out of accumulating snow. Attaching leg posts is all that is required and is very easy to do. Detailed instructions and hardware included. Shelter can be secured to platform, if desired. MEDIUM HOUSE IN PICTURE NOT INCLUDED. 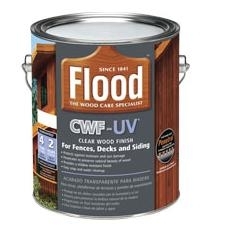 If needing platform to be CEDAR SEALED, click here to order PLATFORMS with sealer option. 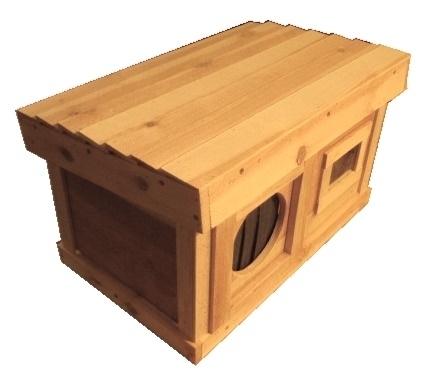 MEDIUM Platform Deck ...... for Emergency Shelters, Medium Houses, and Medium Feeding Shelters (free ship): $119.95 for a 2 ft tall cedar platform deck that measures approx 23”long x 23”wide. The legs are made from 4x4 pine posts and are very sturdy. 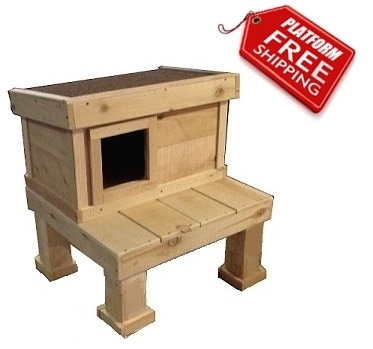 This platform elevates the house 2 feet off the ground and can provide a level of safety for your cats. Cats will feel safe because they have the “higher ground” when lounging in the sun on this decorative platform deck. Attaching leg posts is all that is required and is very easy to do. Detailed instructions and hardware included. Shelter can be secured to platform, if desired. MEDIUM HOUSE IN PICTURE NOT INCLUDED. 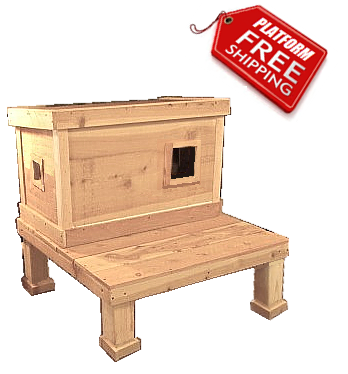 If needing platform to be CEDAR SEALED, click here to order PLATFORMS with sealer option. LARGE-XL-JUMBO SHORT Platform Deck ...... for all size shelters (free shipping): $159.95 for a 1 ft tall cedar platform deck that measures approx 35”long x 35”wide. The legs are made from 4x4 pine posts and are very sturdy. 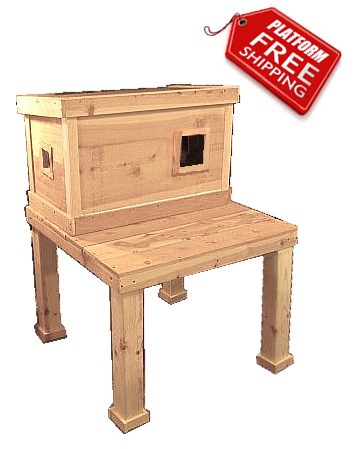 This platform elevates the house 1 foot off the ground and can provide a level of safety for your cats. It also prevents rain from splattering off the ground and onto the shelter in addition to keeping it out of accumulating snow. Attaching leg posts is all that is required and is very easy to do. Detailed instructions and hardware included. Shelter can be secured to platform, if desired. JUMBO HOUSE IN PICTURE NOT INCLUDED. 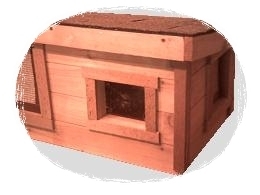 If needing platform to be CEDAR SEALED, click here to order PLATFORMS with sealer option. LARGE-XL-JUMBO Platform Deck ...... for all size shelters (free shipping): $179.95 for a 2 ft tall cedar platform deck that measures approx 35”long x 35”wide. The legs are made from 4x4 pine posts and are very sturdy. 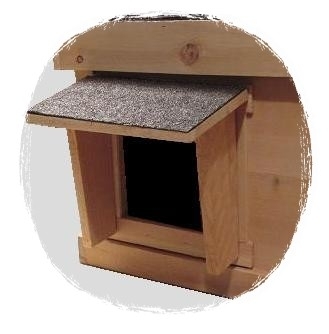 This platform elevates the house 2 feet off the ground and can provide a level of safety for your cats. Cats will feel safe because they have the “higher ground” when lounging in the sun on this decorative platform deck. Attaching leg posts is all that is required and is very easy to do. Detailed instructions and hardware included. JUMBO HOUSE IN PICTURE NOT INCLUDED. If needing platform to be CEDAR SEALED, click here to order PLATFORMS with sealer option. CUSTOMIZATION: Sometimes customers need some extra customizations on their house. Usually, there's no extra charge to place things like .... entrances, windows, escape doors, etc .... in different locations. However, if you wanted an extra window, extra entrance, extra poly door or something that is not mentioned in our options section, this would be the place to order that. 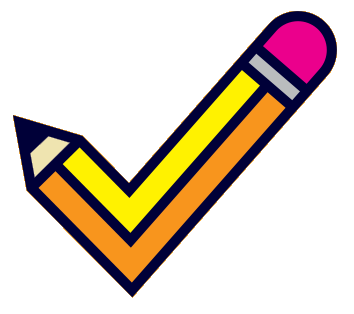 Simply check mark the $20 customization option below and describe what you're needing. There is also a section at the end of the order process, called SPECIAL INSTRUCTIONS, whereby you can share your request there. You can also email us directly if you have any questions about your customization. SELECTING OPTIONS TIP: When selecting an option below, simply check-mark the option and then type "yes" or "y" or "1" in the drop down box. This will add the option to your order.